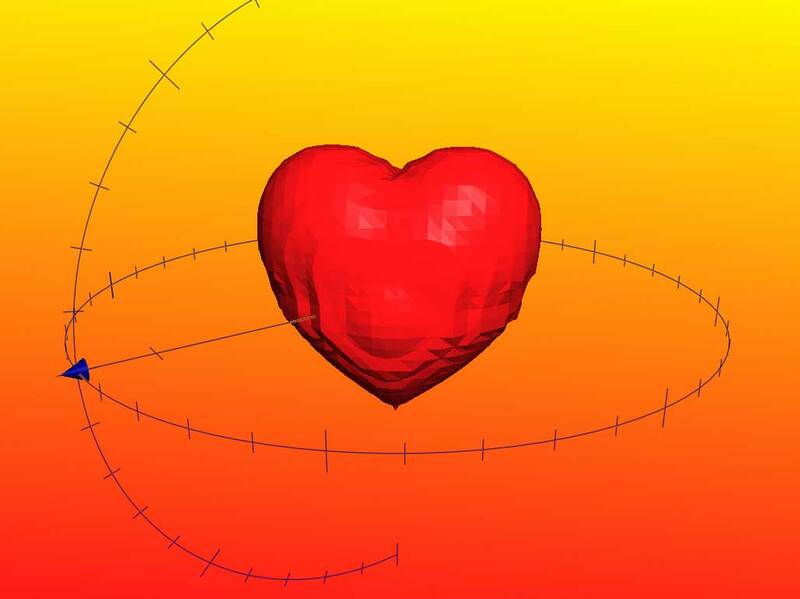 How better to demonstrate your love for your honey-bunny, pookie-bear, or snugglie-poo than by mathematically plotting a heart in three-dimensional space? The best part? It is actually really simple! 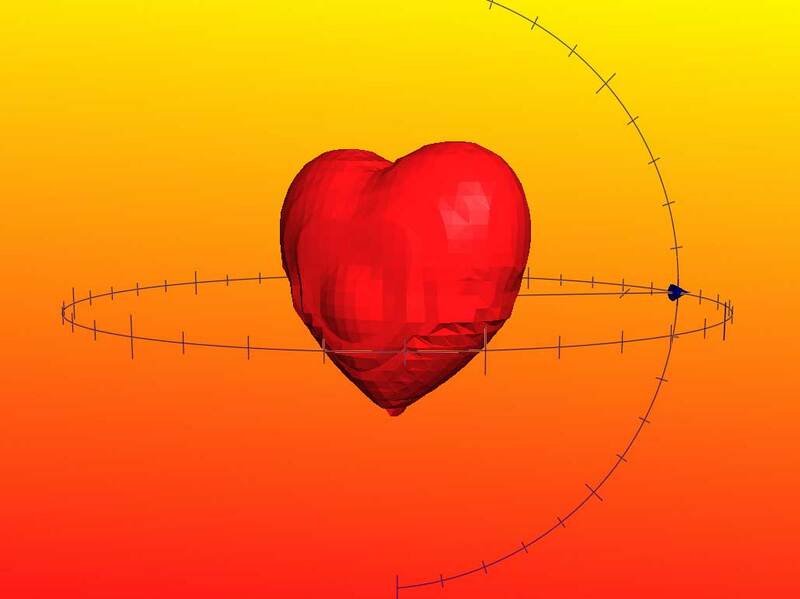 There is a lot of scientific and visualization software which can do a fine job of plotting out some simple (love) equations. If you have a Mac running OSX, though, you already have everything you need. In the Utilities folder, there is a little application called Grapher, which is a simple plotting program. You input the equation and it plots the solution. See? Very romantic. If you don’t want to “overwhelm” your sweetie with the intricacies of multi-variable mathematics, you might want to go with just the 2-D equation. Here is what the plot looks like in simple cartesian coordinates. For those who are a little further along in their relationship, you can jazz it up a bit by adding some color and plotting it in 3-D space. Choosing a different coordinate system also adds to the final results. Of course, our philosophy here at RainyDayMagazine is “Go big or go home.” For those ready to express the full depth of their affection we suggest the 3-dimensional version, plotted out in the coordinate system of your choice. We opted for the spherical system as it feels more “organic,” but hey…as with all things love-related, go with your gut. And they says math is not romantic! However, just to be safe, ALSO buy chocolates for your sweetie-pie and/or make a special dinner for the two of you to celebrate this special day. NOTE: The TRULY ambitious can try working out an equation for a 4-D heart and plot in hyperspace. To do that, you will probably need to use a more sophisticated plotting program such as Mathematica.